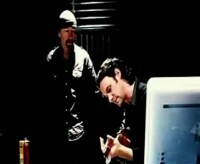 Video features the recording of the song, filmed on January 14 and 15, 2008. The video for the song was directed by John Carney (ex-Frames bass player) and filmed at Windmill Lane studios while the artists were recording the single. The single was recorded at Windmill Lane Studios at the Ringsend Road location. 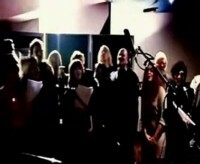 The artists performing on this song include Christy Moore, Shane McGowan, Damien Dempsey, Andrea Corr, Sinéad O’Connor, Moya Brennan, Glen Hansard, Billy McGuinness, Brian Kennedy, Bronagh Gallagher, Chris De Burgh, Christy Dignam, Duke Special, Eleanor McEvoy, Eleanor Shanley, Gavin Friday, Iona Green, Jack L, Jerry Fish, Joe Elliott, Mary Black, Mary Coughlan, Mik Pyro, Mundy, Paddy Casey, Paul Brady, and Ronan Keating. 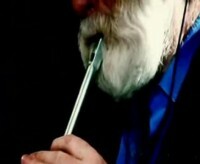 They are joined on this single by U2, Kíla, and some of the remaining Dubliners. Glen Hansard wanted to contribute, but was in the USA for the Academy Awards, and so his vocals were recorded over the telephone and added to the mix, and thus he’s not in the video. 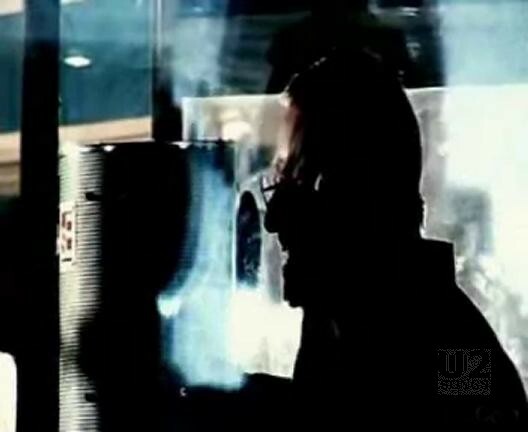 The video opens with Bono and Andrea Corr speaking to the camera, “As usual the drinks are on Ronnie” Bono says as he pops a cork on a bottle of champagne. The video is shots of the artists in the studio recording, as well as relaxing while others record. 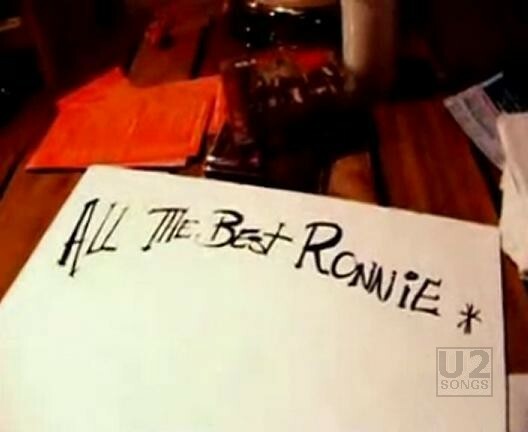 The video ends with applause from the artists in the studio, and zooms into a note saying “All the Best Ronnie”. The song was only released as a CD single in Ireland. There was talk that a DVD single would be issued as well, but this never materialized. The video is available for purchase on the Irish iTunes site. "U2, The Dubliners, Kíla, A Band of Bowsies - “The Ballad of Ronnie Drew” Single"